Happy Thursday everyone! 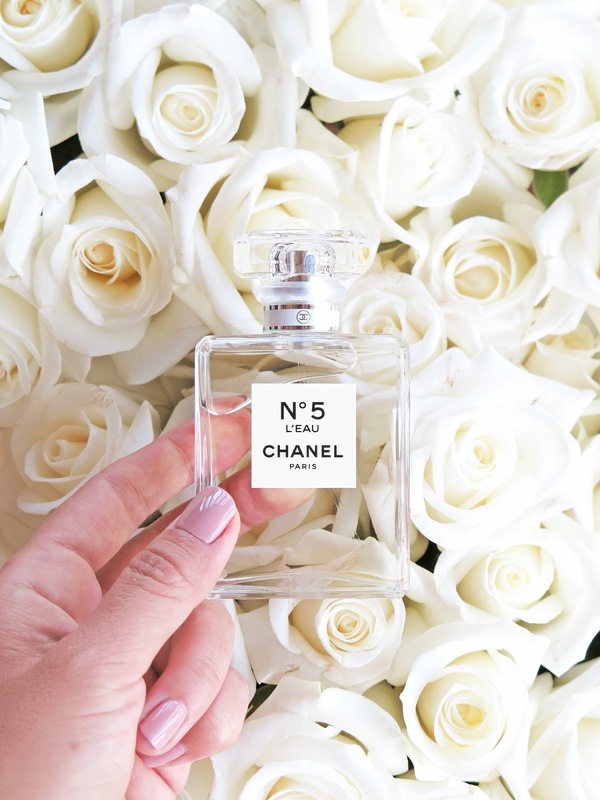 Today I have a roundup of some newer favorites from Chanel. I’ve been a fan of the line for many years. Recent makeup launches to be hit or miss for me but I’ve found some new launches that I’ve truly fallen in love with. A lot of you have asked for a review on the new Gabrielle Chanel Perfume and La Creme Main hand cream – I have those to feature along with some other newer-ish Chanel discoveries today. Up first are two of the newest launches along with a long-time favorite. Gabrielle Chanel Eau de Parfum is Chanel’s latest for perfume. It’s a bright but warm feminine sweet floral. It has notes of jasmine, ylang-ylang, orange blossom, tuberose. To me it’s a delicate and elegant kind of fragrance. Lasting power is quite good and I can detect it on my skin throughout the day by late afternoon. It has a bright feel to it that will lift the mood, but as perfume is so personal, I think this is one you’ll either really love or feel lukewarm about. I love this for fall and for daytime. La Creme Main is one of the most uniquely packaged hand creams I’ve ever seen. It comes in a squeeze tube shaped like an oval. It has a removable cap that snaps onto the top. It’s described as a moisturizing, brightening and protective hand treatment formulated to absorb quickly. It has a light fresh clean almost linen-like scent and hydrating feel without any greasy residue. The drydown is very soft with a velvety feel. Les Exclusifs de Chanel Fresh Body Cream is one of my favorite body creams. It comes in a large glass jar and while it’s pretty spendy it does last a very long time. It’s described as having a delicate floral musky whisper and I’d say that about sums it up. It’s a soft lightweight cream that adds a veil of moisture to the body without interfering with your perfume. For me it’s perfect to apply at night before bed because it gives me enough moisture without being sticky so I don’t feel like I’m sticking to the sheets or blankets. I’ve gone through one tub so far and this is my second one. It’s 100% worth the splurge but if you need something super hydrating you may want to opt for something like L’Occitane’s Shea Ultra Rich Body Creams or Kopari’s Coconut Melt instead. Ombre Premiere in Ray is a limited-edition shade that is part of the Neon Wave collection, as far as I know it is an online-exclusive, it’s not quite as pale as the stock photo but it does have a pale pearly champagne sheen. To me it’s similar in undertone to Flesh which I already own and love, Ray is a little bit lighter and a lot more shimmery in color. I live for these kinds of champagne shimmer colors! Les 4 Ombres in City Lights is a color from the fall collection (reviewed + beauty look worn here) and while it’s a pretty basic quad, I’ve found myself reaching for it frequently. A lot of you asked for a comparison to Poesie which has long been discontinued. I was able to dig up a backup and swatched them side by side. As you can see I don’t use the applicators these come with but try to keep them in the compacts just in case. I really prefer to use full-size brushes instead as they are easier to hold and use. That wraps it up for my 10 things I’m loving right now! There’s actually eleven as I’ve fallen in love with the Sublimage Le Teint (I’m Shade 40) but I’m saving that for my luxury base roundup coming soon. You can find all of these at Chanel.com and at all Chanel counters. Ray, I believe is a limited-edition Chanel.com exclusive (correct me if you’ve spotted it at your local counter). 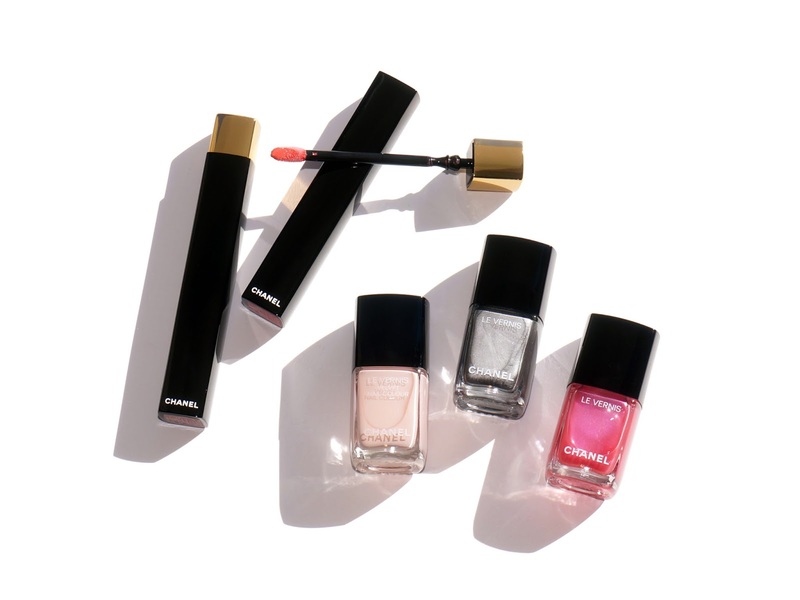 Do you have any Chanel favorites right now? Press samples featured include Gabrielle, La Creme Main, Eye Contour Brush, Blending Eyeshadow Brush, and Precision Powder Brush. All other items purchased by me.